It is a common practice in this forum,members let us climb to their shoulders so we can see further. This thread is a small payback. and some spectacular images he took using the "Cree" led. To make things simpler I used the "torch" versions of both leds. 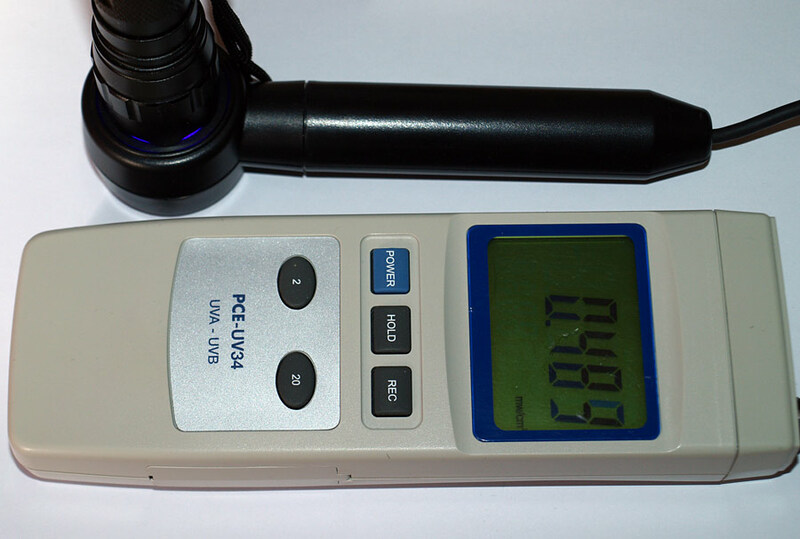 To measure the leds I used the following UV meter with a range 290nm-390nm. The nichia led gives over the range values even from a distance. To make a measurement i had to use several nd filters in series. I find out that the nichia led emmits a minimum of 250mw/cm2 -over 500 times the output of the chinese! That's interesting. I have a couple of Chinese <$5 torches. One is claimed to be 365nm, another 405nm and another Deep Purple/UV. They're very similar to each other. The last description seems to be reasonable . 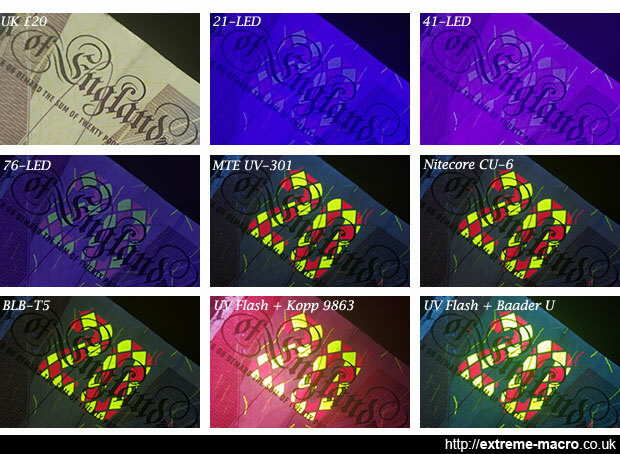 They show a lot of visible light, but ARE definitely "exciting" for revealing the markings on banknotes. 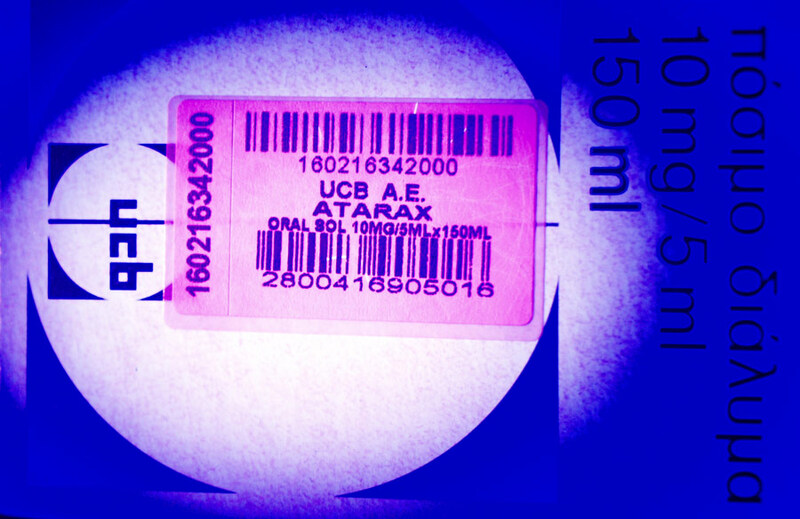 A bottle of fluorescein dye also comes to light in front of all three, about equally. 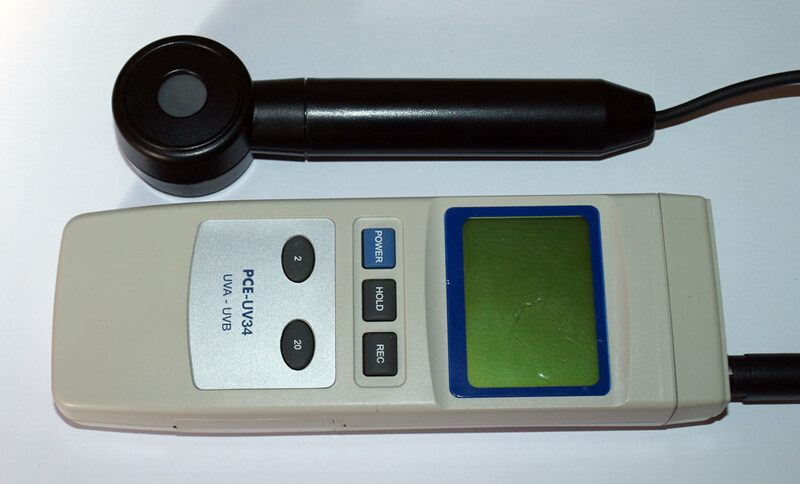 A "405nm" laser has a similar ratio of reactions. 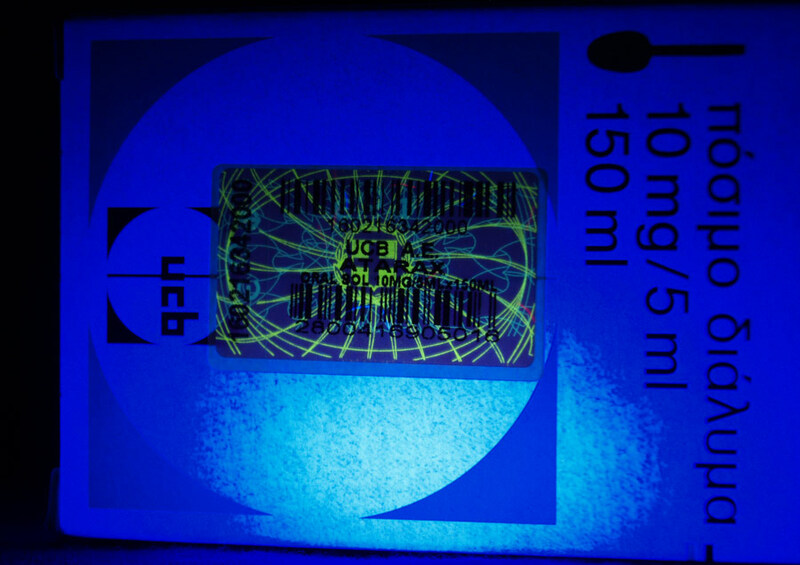 "Black lights" designed for money testing, and discos, have a dark envelope. So far I've not found that material cheaply/easily purchased separately. 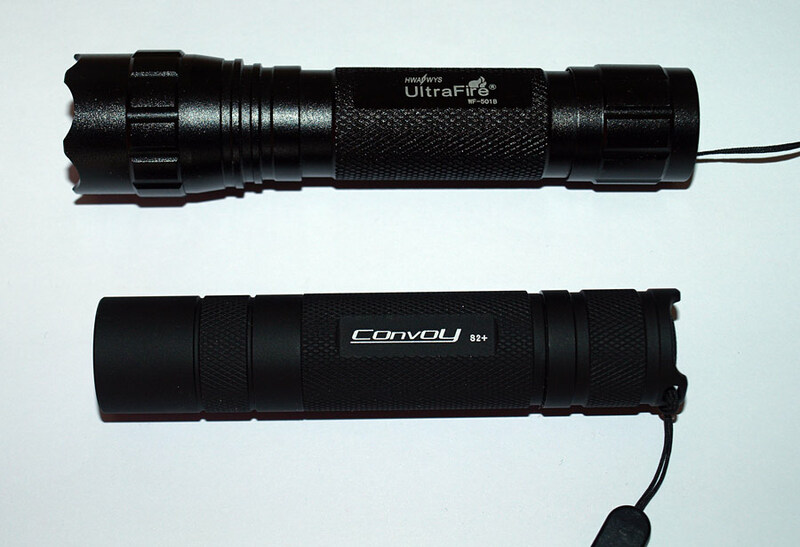 Some ebay vendors of "UV" torches do make a distinction between their "365nm" torches, and others they also sell. WOrth investigating maybe. I remember using EPROMs, when we used an environmental testing lamp to clear them. We just held them against it for a minute or so. The cover leaked light, which would darken the skin on a hand placed over it, in about the same time . ...I find out that the nichia led emmits a minimum of 250mw/cm2 -over 500 times the output of the chinese! Thank you very much, harisA. Your result is much appreciated. I mistakenly thought that most commercial UV flashlights are equally terrible. But clearly that is not the case, as shown by your test and Charles' images. I have that Chinese UltraFire "UV". It does produce VERY WEAK chlorophyll fluorescence using an oil darkfield condenser (essentially oblique illumination from side), but it was soooo weak that I have not cared to use it. I should have bought that Convoy one. My single-led "cree" ones are far better than the multiple-led ones. I've ordered one (~$4) which specifically claims 365nm, but from China so could be a while. Chris the excitation is very weak like in the first raw of images in the Johan post.The chinese led is severely polluted with excessive visible light. Johan i came across your article about uv leds several months ago.It is very informative.It seems that there is a fast progression in uv led technology and the prices will go down vey soon.The nichia torch cost my 20euro from gearbest including shipping. Haris, Thank you for the test! Are you sure that the measurements are right?, I would have expected a clear difference but not up to this level. My "non Cree" 365 LED is absolutely useless without an emission filter because it emits a big amount of white light -like your pictures clearly show- , but used with the adequate filtering it has proven to be useful for fluorescence. I don't doubt at all that the Nichia will be better, just I didn't find it for sale at low enough price when I bought my LEDs. I was waiting that Nichia releases new models with intermediate power between their 700mA and the monster 4500mA but likely I'll buy the 700mA. Measurements were also a surprise for me and for this reason i check them many times.Your images and their exposure times sounded to good to be true.Unfortunately i don't have a proper uv pass filter to block visible light . 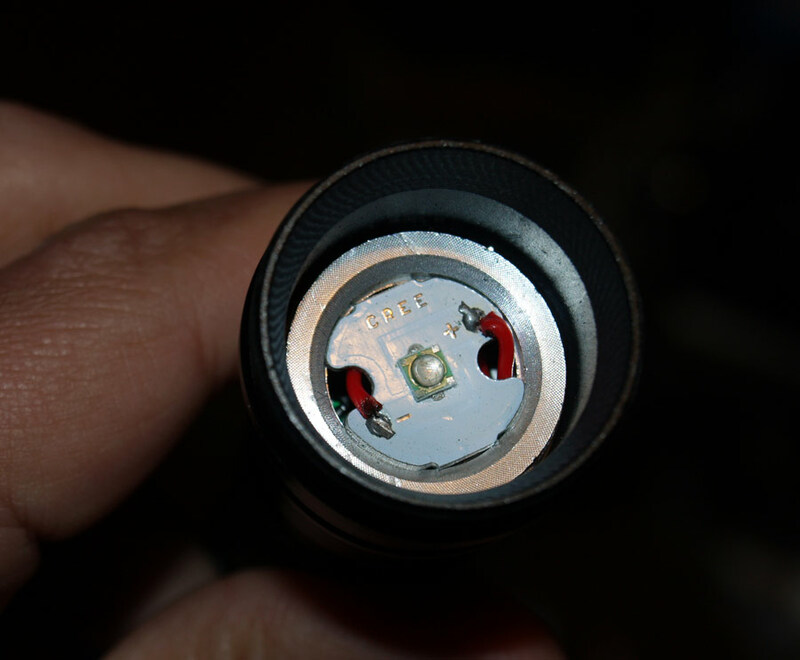 However i can't be 100% sure that my fake "cree" led is identical to yours.You can never trust cheapo chinese stuff.Here is an image of the led inside the cheap torch. ...The nichia torch cost my 20euro from gearbest including shipping. That's a really great price and truly shows the speed at which this field is moving! The equivalent Nichia-chipped torch would have cost between 100 and 200 Euros only a couple of years ago... great stuff!